Port St. Lucie general dentist Brian Sider, DMD, provides preventive, restorative, cosmetic, and emergency dental services to patients age 8 and older. He offers thorough dental examinations, advanced oral cancer screenings, fillings, crowns and bridges, partial and complete dentures, extractions, teeth whitening, veneers, mouthguards, and root canal therapy. Dr. Sider earned his dental degree at Temple Dental Kornberg School of Dentistry in Philadelphia. He also holds a B.S. in Biology and Chemistry from University of Miami. Dr. Sider is a member of the American Dental Association, Florida Dental Association, and enjoys volunteering his time to treat patients with mental, developmental, physical disabilities and behavioral problems. Dr. Frank Cerra has been helping people smile since 1971. He earned his Doctor of Dental Medicine degree from the University of Pittsburgh, and practiced in Pennsylvania for more than 20 years before relocating to Florida. Dr. Lauren Lockhart enjoys watching her patients' self-confidence grow as their smiles improve. She offers a variety of services including braces and Invisalign to correct problems such as crowding, crossbite, open bite, protruding teeth, teeth that erupted in the wrong place, gaps between teeth, and jaw misalignment. Dr. Lockhart treats adults, teenagers, and children as young as seven, which is when the American Association of Orthodontists recommends children receive their first orthodontic consultation to spot any problems with jaw growth and emerging teeth. 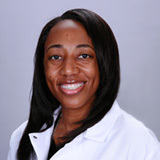 Dr. Lockhart earned her Doctor of Dental Surgery degree from Meharry Medical School of Dentistry in Nashville, TN, and completed a residency in Orthodontics and Dentofacial Orthopedics at Jacksonville University in Jacksonville, FL. She is a member of the American Association of Orthodontists, American Dental Association, and American Association of Women Dentists. Our dentist is busy creating beautiful and healthy smiles for patients. Stay tuned for a complete bio.